Juniors, Seniors, Masters, Recreational Riders, we cater for all! We are not a Club! We are a development centre, clubs play a major role in cycling, yet we offer more than a volunteer club can expect to offer. The National Cycling Centre Hamilton is a not-for-profit corporation created as legacy organization following the very successful 2003 UCI World Road Cycling Championships in Hamilton Ontario.The Centre is one of five nationally recognized cycling centres in Canada and is responsible for identifying, recruiting, testing, coaching and training high performance and development athletes in the Province of Ontario. The Centre is formally partnered with the Canadian Cycling Association, the Ontario Cycling Association, the City of Hamilton and McMaster University. 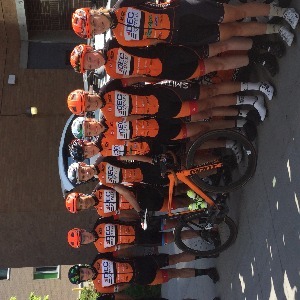 Since its creation in 2005, the Centre has assisted over 30 athletes win medals at National Championships and/or become members of the Canadian National Cycling Team. Success. Coach NCCH Canada has been notified of your message.